In his only televised interview on the findings, former Baltimore Police Commissioner Kevin Davis deepened criticism of the Independent Review Board Report that concluded Detective Sean Suiter killed himself . In the report Davis is criticized for what he knew about Suiter and how he handled the immediate investigation. 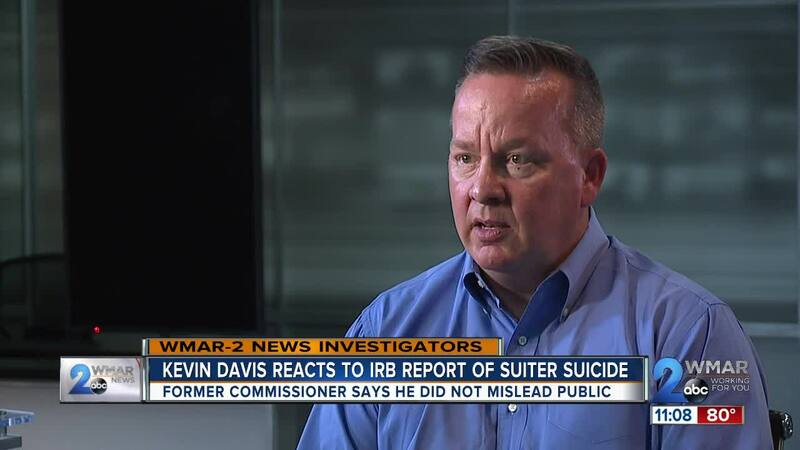 In an exclusive interview with WMAR, Davis defends his actions handling the investigation and disclosure of information following Suiter’s death and levies his own criticisms at the IRB’s processes and conclusions. When asked if he believed Suiter took his own life, Davis was unmoved from his stance the when he left the department eight months ago. “I believe that we are no closer today from conclusively knowing what happened than we were several months ago,” Davis said. He says the conclusion by the IRB that Sean Suiter committed suicide was irresponsible. He stresses particular shortcomings in how the board attempted to establish Suiter’s frame of mind, which would factor into his potential reasoning for suicide. A glaring hole in this report he says is spelled out in who this panel did not interview as part of their investigation. 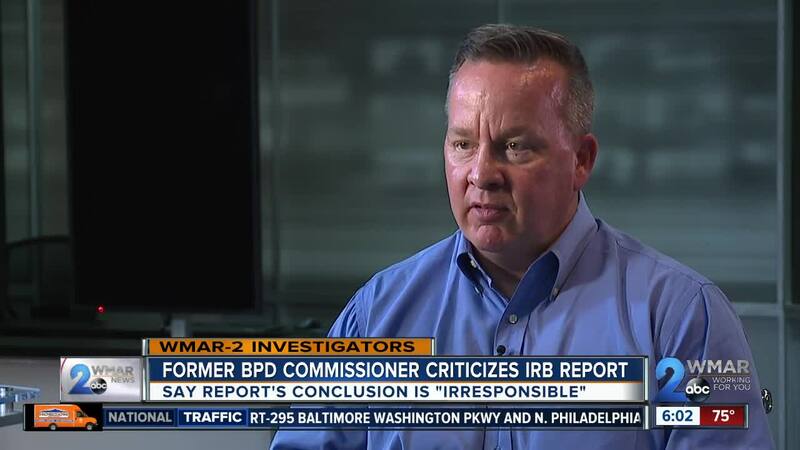 WMAR can confirm the IRB did not speak with Nicole Suiter, as she asked the same question about her absence in their investigation during an interview Wednesday . Despite requests for the past two days, the IRB has not released a witness list to the station. Davis responded to the ample criticism the report has for him, some of which he said is justified and fair. He freely admits his handling of locking down Harlem Park and Incident Command during the investigation could have been handled better, but he takes issue with the board's assertion he misled the public. Davis says he knew the day after Suiter was killed that the detective was scheduled to testify to a grand jury , but he defends his releasing of that information when he did –choosing instead to wait until after the officer's funeral. Davis' main issue with this report is the finding of suicide – a conclusion he says was reached without any new evidence, obvious mistakes, and glaring omissions. He says it only serves as a convenience while victimizing the Suiter family once again. "There is a feeling that this thing needs to be wrapped up, It needs to have a bow on it, and it needs to be put on a shelf so the city and the police department can quote ‘move on,’” Davis said. “ Well hiring a consultant, giving a consultant a financial contract , sure. There is a lot of pressure to come up with a conclusion." WMAR has reached out to both the chair and co-chair for a response to Davis' reaction, but have not received a response. During yesterday's new conference the IRB’s chairs said the finding of suicide was unanimous among the seven board members . The IRB said it followed the facts of this case.